A baby moose was in distress in a creek in Minnesota . 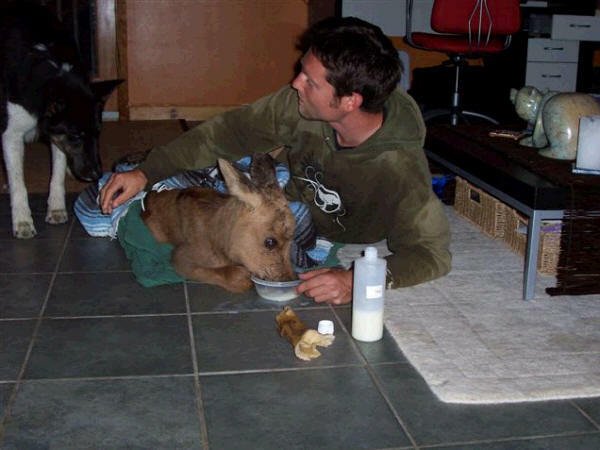 A man got him out of the creek, tried to find the mother and send him on his way, but eventually the moose stumbled back into the creek and was rescued again. 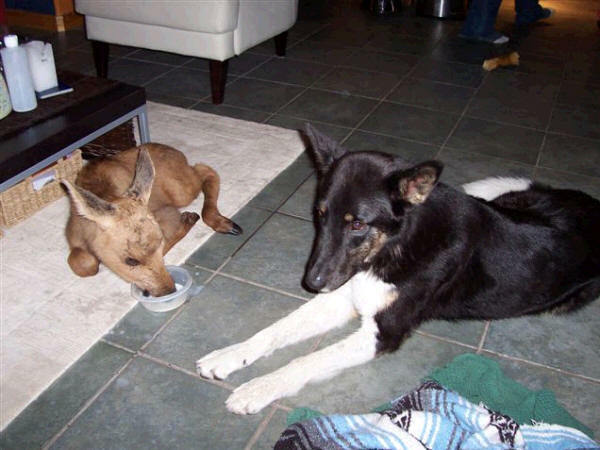 The baby moose followed the man home. The man has only a small cabin so he took the moose to a neighbor, who took these photos. 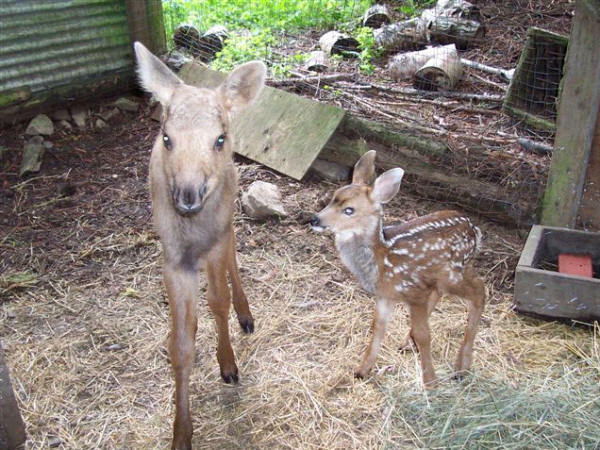 They took the moose the next day to a woman who looks after wild animals and she put it in a pen with a rescued fawn.